Why Should Manufacturers Join Google Manufacturer Center? Manufacturers should join Google Manufacturer Center because it helps them elevate their brands. It offers manufacturers the opportunity to use enhanced product images, YouTube videos, product titles, descriptions and key features. This creates a cohesive brand experience across Google. Furthermore, it improves the performance of Shopping ads featuring their products. One of the benefits of being on Google Manufacturer Center is that your company will have access to unique analytics and insights, allowing you to have the opportunity to refine your Shopping ads and thus improving the performance of it as well. Furthermore, when there are multiple merchants appearing in results grouped on the right-hand side or on the Google Shopping tab, the manufacturer will be the one who gets to control all product data like images, title, and features. How does one get on the platform? Use self-sign up for Manufacturer Center. It takes mere minutes to set-up your account. Manage your product info across Google. Submit detailed and rich product information (including images, titles, descriptions, videos, etc.) to help your product stand out. Detailed product data enables more relevant search results. In Johnson & Johnson’s experience, the company was able to drive a premium search experience for its products by uploading more accurate and descriptive data. High quality data helps users decide what to buy. For Safavieh, an international home furnishings company, they were able to provide customers with more accurate, useful information. As a result, Safavieh was able to drive more traffic to their website, their retail partners’ websites, and the end result, it created greater sales for their products. Google Manufacturer Center allows manufacturers to elevate their brands and ultimately attract more shoppers online. Need help getting started? 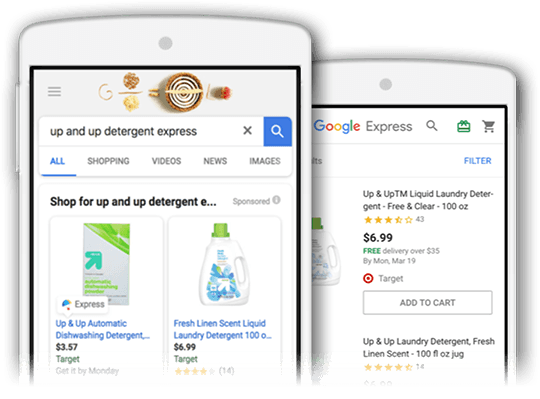 Check out our Grow Your Brand Using Google Manufacturer Center Webinar and find out why over 25% of the top 1,000 Internet Retailers work with us.